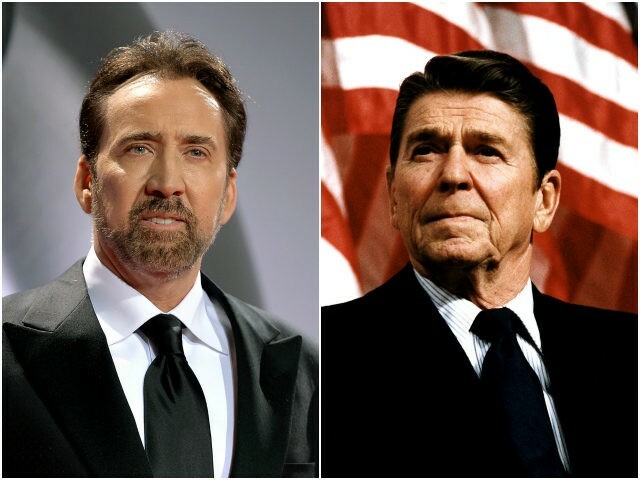 Nicolas Cage has been offered the role of Ronald Reagan in an upcoming big-screen biopic about the former president’s life, according to a report. The New York Post‘s Page Six reports that the 52-year-old actor was approached to take on the role of America’s 40th president in a biopic that will “show the conservative president in a flattering light,” though the film’s title or other details were not immediately available. The film in question could be the upcoming Ronald Reagan biopic from director Sean McNamara (Soul Surfer) and screenwriters Howard Klausner and Jonas McCord. That film already has Robert Davi signed up to play Leonid Brezhnev and Jon Voight set to play George P. Schultz, with Disney Channel star David Henrie playing Reagan in his adolescence. The film’s producers didn’t immediately respond to a request for confirmation. 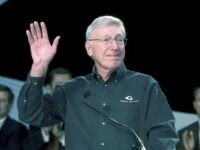 The $25 million film is reportedly expected to span Reagan’s life, from his teenage years to his time as president of the Screen Actors Guild and all the way up to and including his presidency. Earlier this year, Will Ferrell and his production partner Adam McKay were set to begin work on a Reagan biopic that would have satirized the former president’s battle with Alzheimer’s disease. The proposed project drew widespread condemnation — including from Reagan’s daughter Patti Davis — and Ferrell and McKay ultimately pulled the plug on it. A representative for Cage didn’t immediately respond to a request for comment. The Oscar-winning actor most recently starred in Army of One opposite Russell Brand.